Roberto Cavalli For Her opens with a sizzling note of wild pimento, a powerful symbol of virility and seduction. This striking introduction is closely followed by a sophisticated and sensual heart note of vetiver wood that gives an earthly and slighty smoky quality to the fragrance. The base note of smooth leather adds its rich mix of depth and voluptuousness. Fresh, vibrant and sensual, this fragrance is an ode to youth and seduction. The Price : If it's too cheap or hugely discounted, there's a high probability it's a fake. Explore the entire range of Perfumes (EDT & EDP) available on Nykaa. 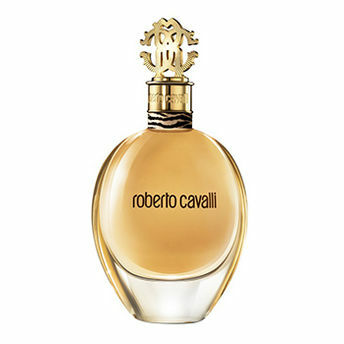 Shop more Roberto Cavalli products here.You can browse through the complete world of Roberto Cavalli Perfumes (EDT & EDP) .Alternatively, you can also find many more products from the Roberto Cavalli For Women Eau De Parfum range.